Ground will soon be broken on a new school in Middle River. 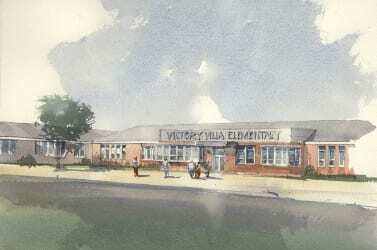 Victory Villa Elementary School Principal Margaret Roberts will be joined by BCPS Interim Superintendent Verletta White and Baltimore County Executive Kevin Kamenetz to break ground for a new, $39 million school to replace the existing structure. The groundbreaking will be held at 10:30 a.m. on Tuesday, October 17, at the Victory Villa Elementary School site, located at 500 Compass Road in Middle River (21220). The new school, which is scheduled to open to students for the 2018-2019 school year, is designed to increase capacity at the school from 326 to 735.